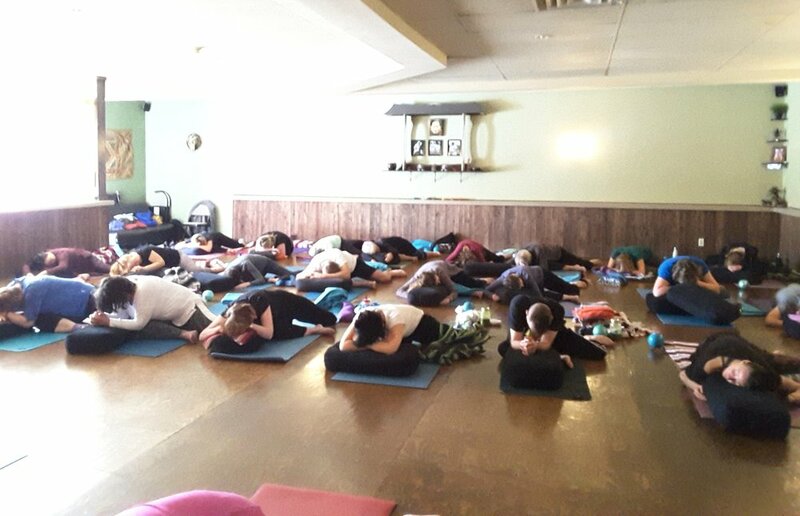 Join us for a morning of gentle therapeutic yoga led by Erin, accompanied by a live performance from sound healing extraordinaires: Delyar and Natania! Delyar Rahmdel is an Iranian multi-instrumentalist. After Graduating from Tehrans music conservatory, she continued her classical studies in Flute and Piano in Cambridge, Uk. Since then, she has found new inspiration for music by learning about the healing aspects of sound. She now enjoys playing music that uplifts the soul and takes the listener on an inner journey. Natania has over 15 years of training in percussive instruments. She is now a multi-instrumentalist and provides sacred spaces for people to come and receive the benefits of healing through sound. She hold a certificate of Energy Healing through Langara College and is a certified Kundalini Yoga Teacher. Bridging her experience in music and healing gives her a strong foundation of how intention and sound create the ambiance for deep rejuvenation. Natania and Delyar have been apart of many musical endeavours together. They have offered sound journeys for non profits, yoga classes, ceremonies, festivals, and events in and around the lower mainland. Their emphasis has been on harmonizing and healing the body through sound. Together they compose blissful states of relaxation, healing and rejuvenation. They believe that the vibration of sound has the power to uplift and heal the mind, body and soul. Every sound session is created live on the spot which keeps it unique, organic and in the flow. Throughout this sound journey Erin will guide us in and out of gentle postures designed to reduce stress and fatigue, decompress the spine, and create release in the myofascial webs of the body. Then as we enjoy the vibrations of music around us she will assist and adjust to help students find both comfort and depth. Through resonance, rhythm and release, this workshop will cultivate an experience of harmony and connection both inside and out! **Please note that to qualify for the early bird special payment must be received before Oct. 20th, not just the registration request. Just fill out the info below and you will receive a confirmation within 24-48 hours.